Peter Beardsley Newcastle Utd & England signed 7x4 inch promo card. Peter Beardsley, Newcastle Utd & England, signed 7x4 inch promo card. 7x4 inch promo card personally hand-signed in black sharpie pen by Peter Beardsley, Newcastle United FC. 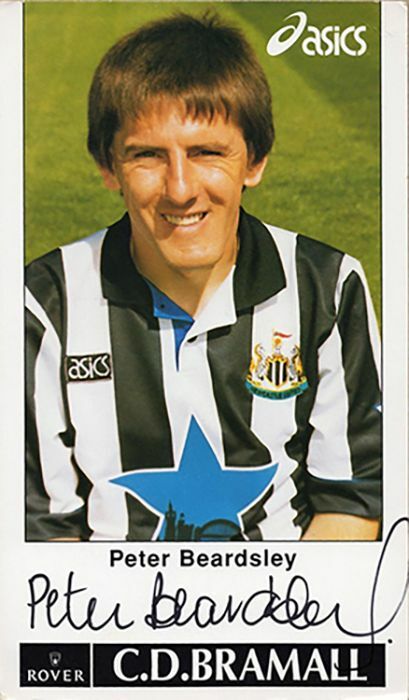 Beardsley played as a striker for Newcastle Utd from 1983-1987 and from 1993-1997. He was capped 59 times for England.